The Bollo in Chiswick is one of my favorite local eat-outs. Their menu offers good hearty meals, with meat and fish, as well as vegetarian, all living up to their own. So, I was very happy to discover that the owners have a few more gastropubs, the other one nearest to me is the Ealing Park Tavern. Located a walk through the park away from me, it couldn't be better. I booked in for dinner recently and was not disappointed. I have a small obsession with reading restaurant's menus online before I visit them, and noted that the Ealing Park Tavern had less options on the menu than The Bollo, but seemed to be a slightly more upmarket version, with higher priced dishes - the choice of ingredient dictating the value. 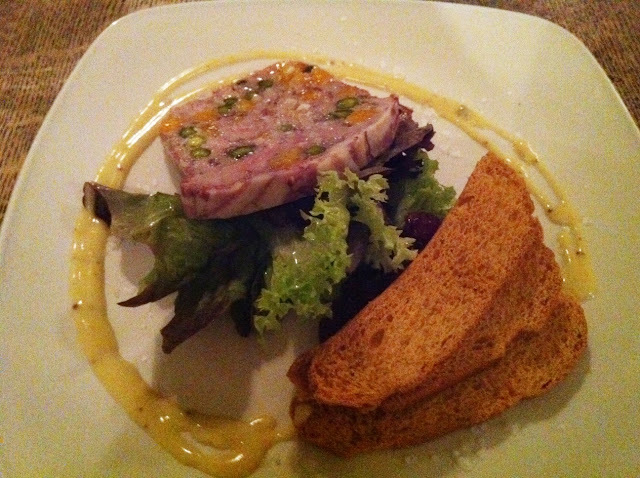 I love the food at The Bollo so was excited for the EPT, despite it's unassuming exterior. The restaurant was quiet when we visited, but beautifully furnished and with a welcoming fire blazing. The service was brilliant throughout, attentive but not intrusive. Our starters of pork, pistachio & apricot terrine, apple chutney, toasted brioche and baked pecan & thyme crusted goats cheese, pickled beetroot, baby pousse, balsamic dressing were very good. The menu says it all - we got what they said we would. I always dither over starters. I do always want to try them, but when I do I fill up on them and normally ruin my appetite for my main course! These were good, but I wish I'd saved myself for the main course! 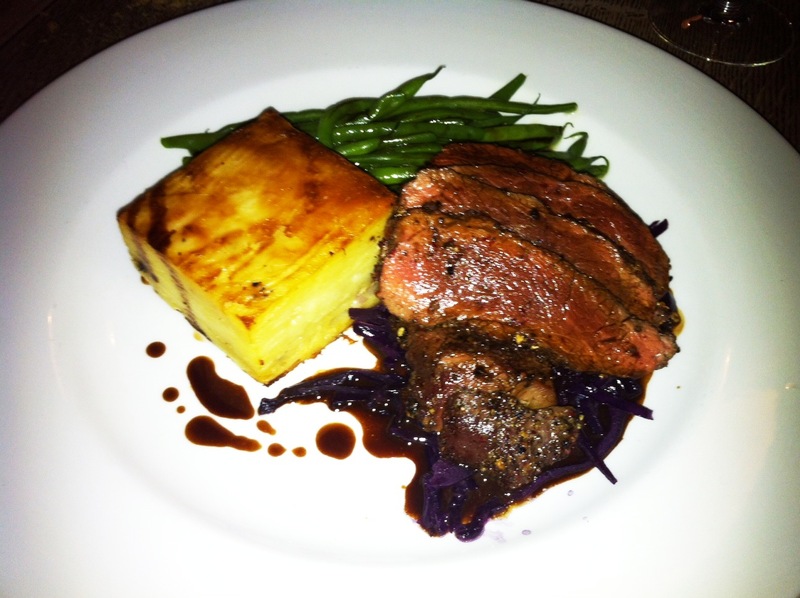 I had the peppered venison, dauphinoise, braised red cabbage, green beans and bitter chocolate sauce. Despite it's recent gastronomic popularity, I do not like chocolate on my main course. It's a treat for dessert, if that. Having said that, and ignoring the chocolate on my plate, my main course was phenomenal. Very few times I have eaten venison that has been cooked so well. The dauphinoise and buttery green beans were perfect too. After such a feasting there was no room for pudding, but I could have had treacle tart, chocolate fondant - where the chocolate should be! - or a cheese plate, all of which sounded, and looked, delicious. I'm very much looking forward to summer walks through Gunnersbury Park to the Ealing Park Tavern in 2012. We ate from the Christmas menu, but you can normally expect whole plaice, 28 day dry aged beef and other such delights.